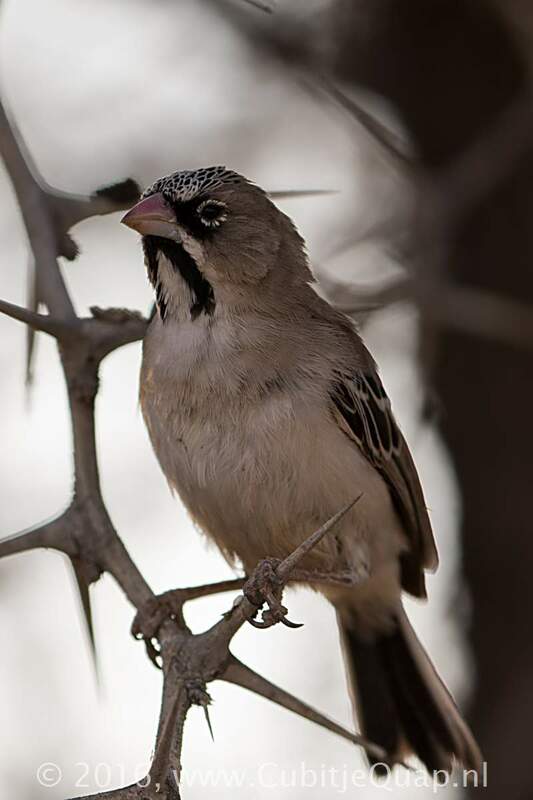 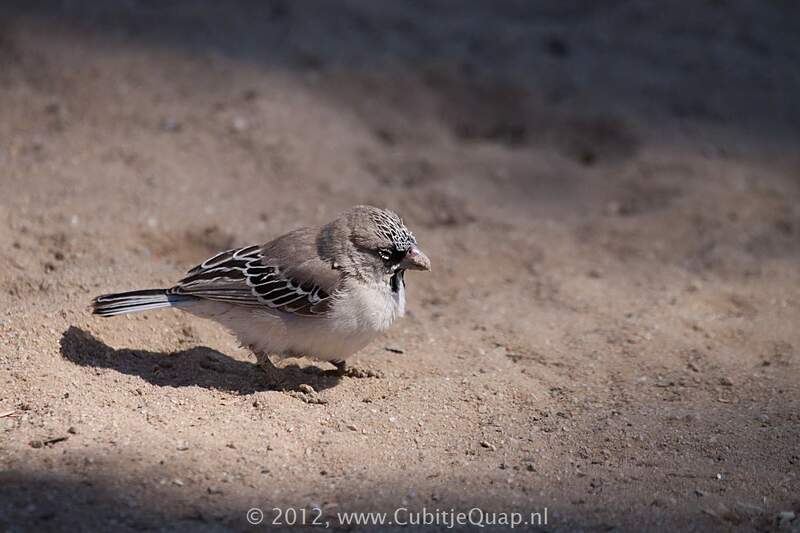 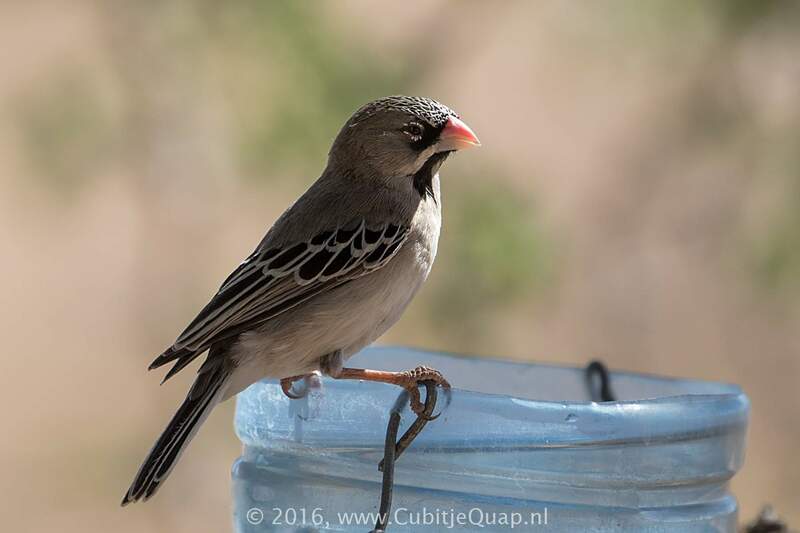 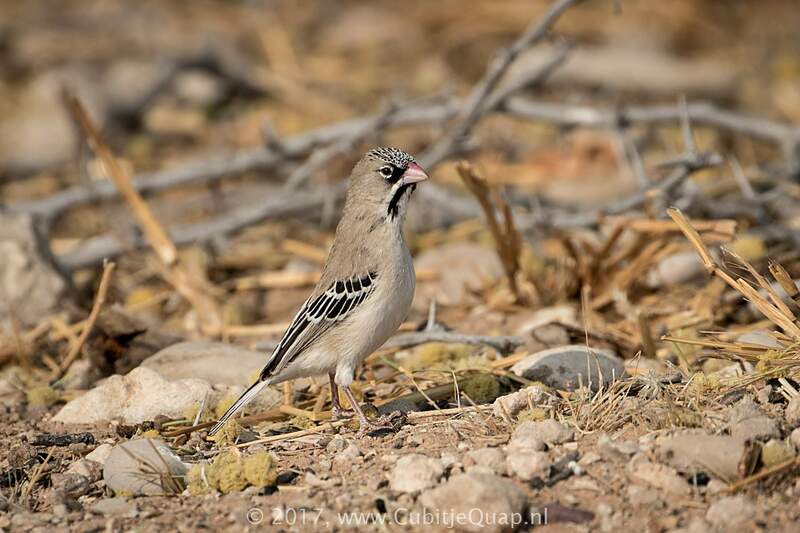 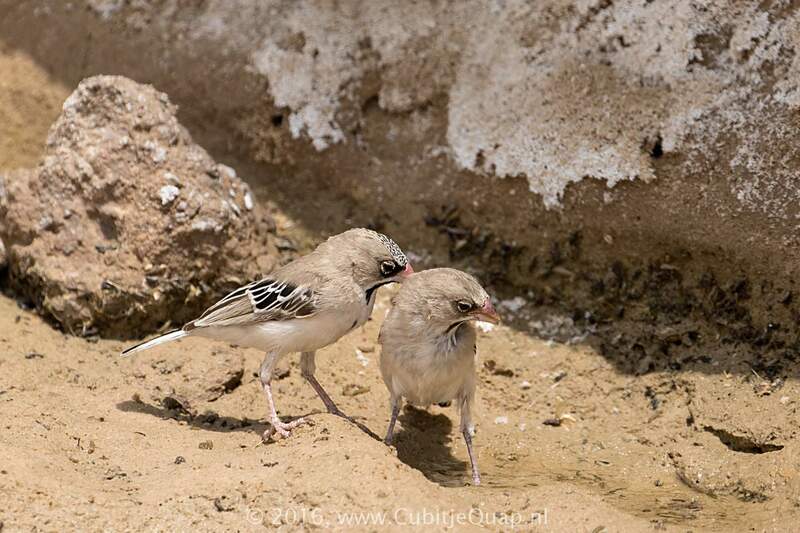 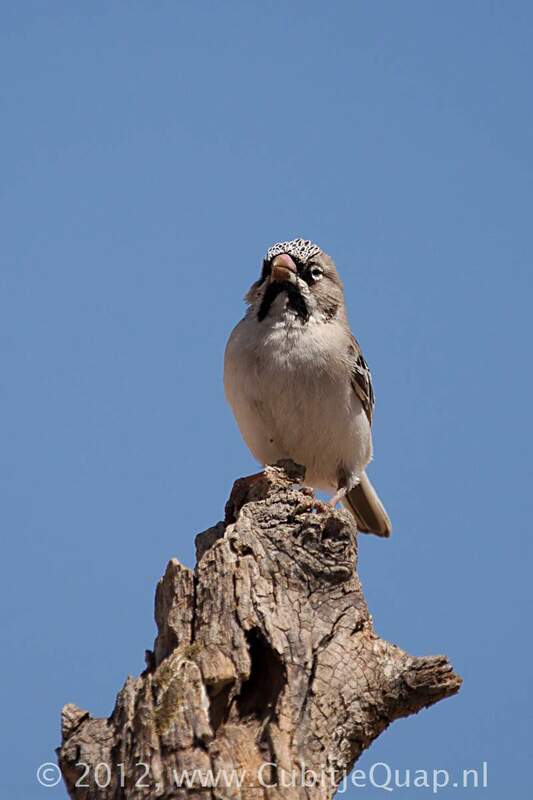 An unmistaklable small finch with a black-and-white freckled forehead, black malar stripes, and white-fringed wing and tail feathers. 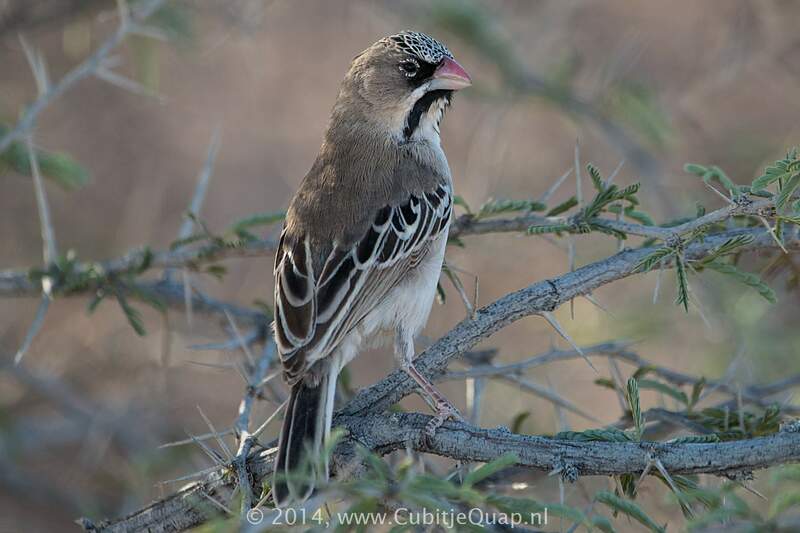 Juvenile resembles adult but lacks the black malar stripes and the freckling on the forehead. 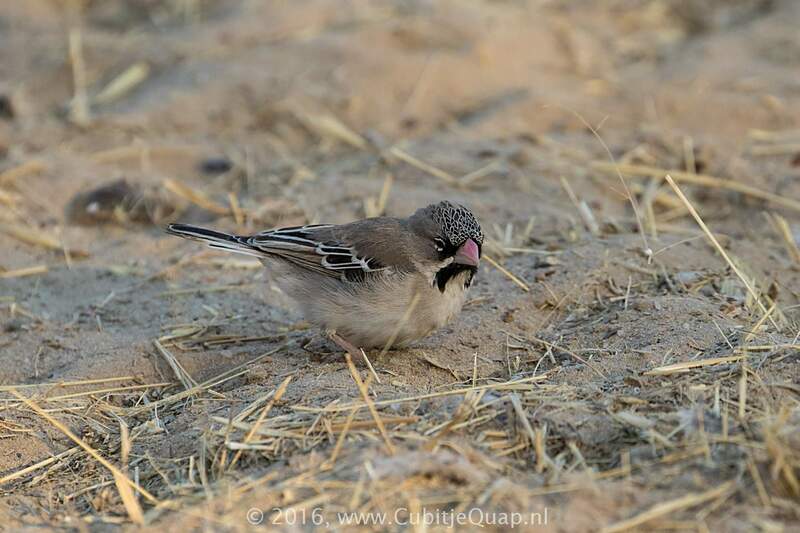 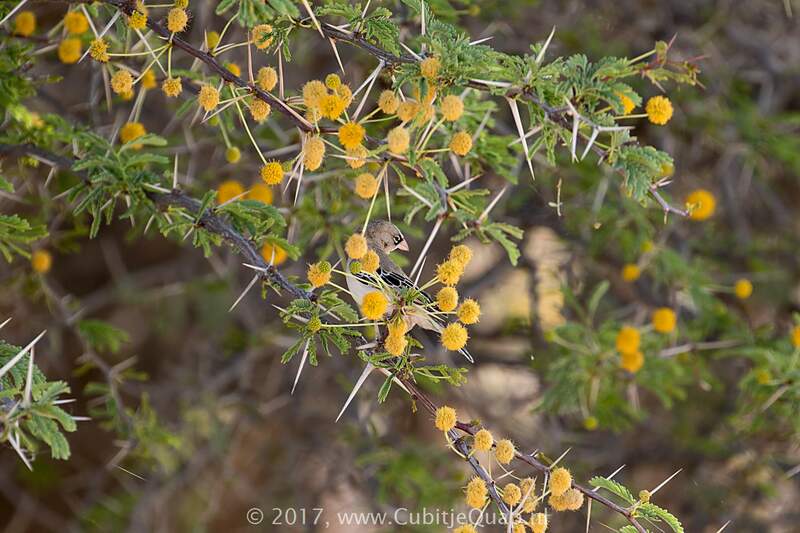 Dry thornveld, bushy desert watercourses, cattle kraals and around farm buildings. 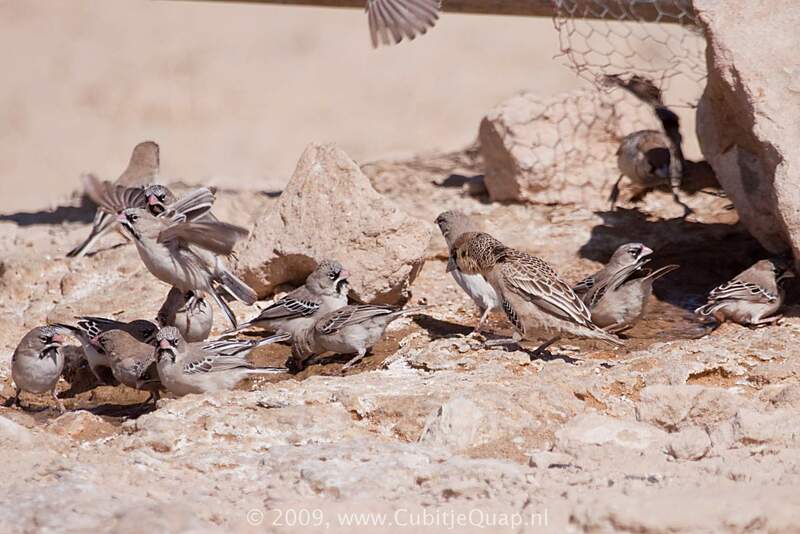 A soft 'chizz, chizz, chizz', given by small groups in flight.